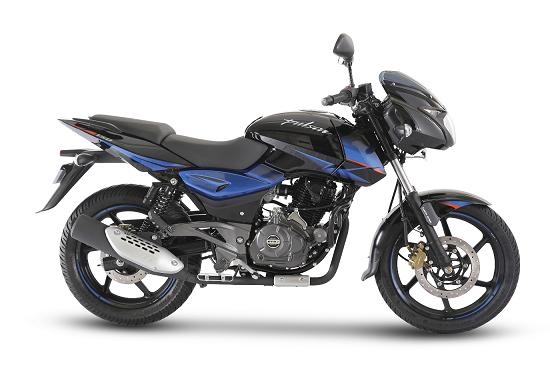 Bajaj Auto, India’s leading automobile major launched the all new avatar of Pulsar 150 with Twin Disc brakes. The new variant will provide sharper and sportier styling making it the most desirable motorcycle in the 150 sports segment. The twin disc variant will be made available in addition to the existing single disc variant. The bike is priced at ₹ 78,016 /- (Ex Showroom – Delhi). Apart from Twin Disc Brakes, the muscular and modern Pulsar 150 will also possess new colour and design scheme, split seats and split grab rails, longer wheelbase and wider and bigger rear tyres. The new Pulsar 150 Twin disc will also equip significant improvements in noise, vibration, and harshness (NVH) and a best in class 230 mm rear disc brake. It will be made available in 3 colors – Black Blue, Black Red and Black chrome. The new variant will continue to churn 14 PS of power and 13.4 Nm of torque with the most robust 149.5 cc DTS-i engine. 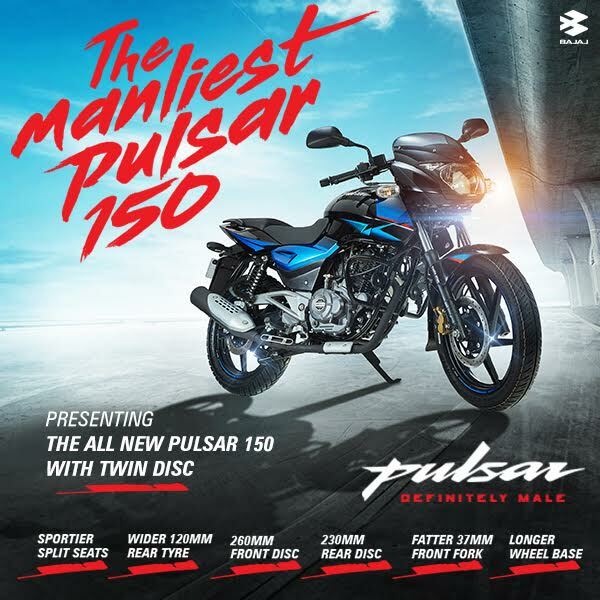 Apart from the previous colour options of Pulsar 150, customers can now choose from 3 new color options exclusively available for the twin disc variant of the Pulsar 150.